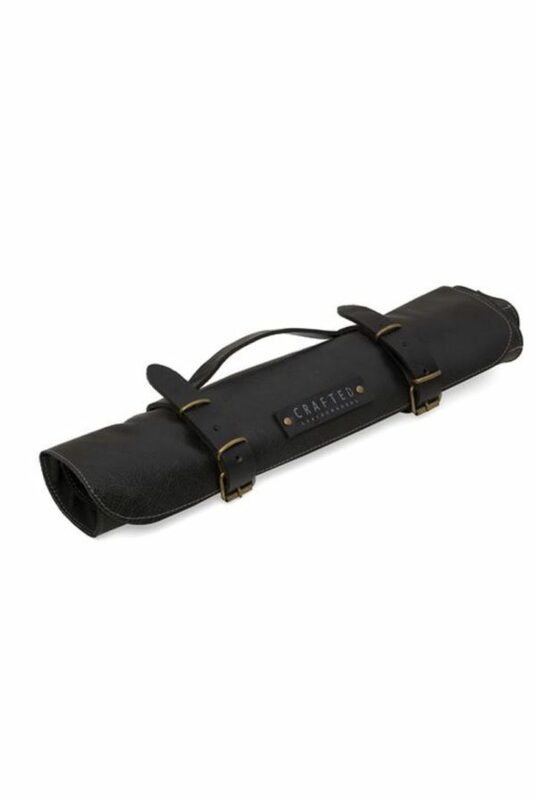 Our leather kniferoll is handmade in The Netherlands of 100% Cow Leather and is suitable to store 5 knives. The pockets inside are all a different size, which makes it possible to collect various sizes of knives. You can carry the leather knife roll by hand, or buy the matching belt to wear it cross body. It is a unique item for professional chefs but also for hobbyists and kitchenlovers.